In my build up article here, and in Part 1 of my description of the Jameson Housewarming Party, here, I got the big stuff out of the way. 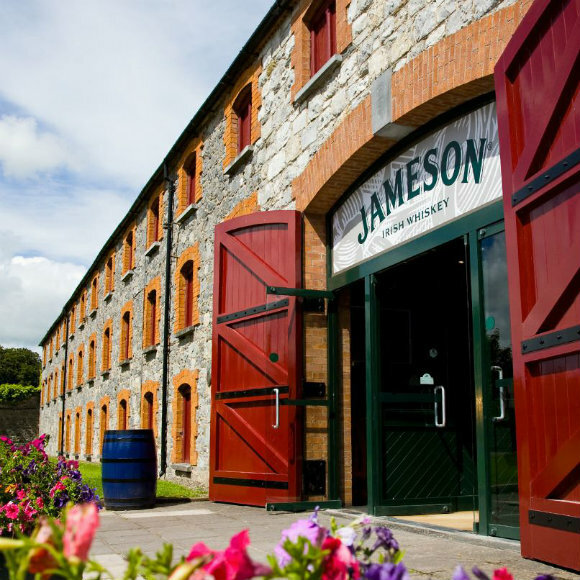 400% growth in America in ten years, double digit growth in most other markets in the past few years, resulting in the fine folks at Irish Distillers embarking on an ambitious expansion project where they have practically doubled production. Over 60 million litres a year! 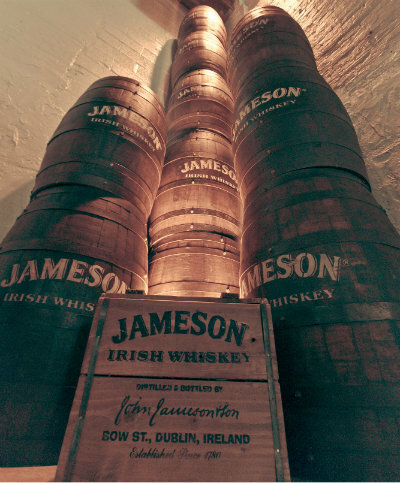 All of South Ireland will be taken up by whiskey warehousing! The distribution of the spots is exclusively the responsibility of Mitchell & Son in Ireland (whisky retailer and Single Cask specialist) who have been partnership with Jameson in working on this brand for many years. The spots were a way of marking the casks, which refer to the ages and styles. 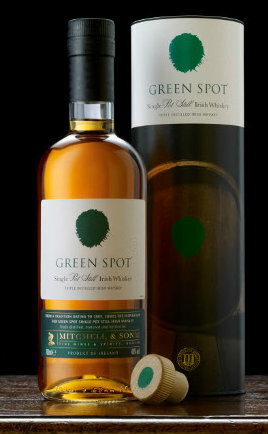 Green Spot being around 8 years old, in mainly ex bourbon casks. Nose: Aromatic oils, honey suckle, apples, lime, lemon and toffee spice. With water: more fruits and a perfumed floral note. Palate: Grassy, oily, toffeyed and spicey. Brian Nation mentioned that over the next 5 years, the Midleton Distillery will be releasing two new Pot Still Whiskeys, which provides Brian with the kind of challenge which he will relish. It will be a good kind of busy, creating all these exciting new whiskeys. 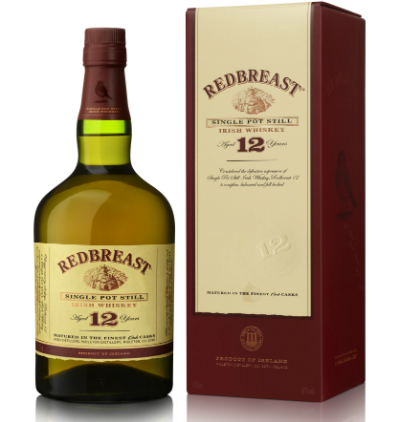 Originally a brand established in 1907 by the Gilbey’s family (their chairman was a bird watcher), Redbreast is Irish Distiller’s flagship Single Pot Still Whiskey, selling 30,000, 9 litre cases a year, with its big markets being the UK, US, France and Germany. It is a mix of ex bourbon and ex sherry casks, and is just lovely. Prunes and raisins on the nose, blackcurrant and apple on the palate. There were hints at the event, that the next new Pot Still Whiskey to be released will be a Redbreast…and I will say no more about that just now! 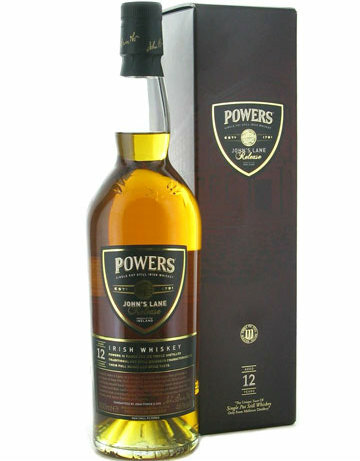 This was the first expression of from Powers to be made in the style of the old John’s Lane. At this point in the tasting, Brian talked about the 1960′s, when the 3 families that make up Irish Distillers united to stave off bankruptcy. At this point, the built the new distillery at Midleton (now not so new). Since the three families made different styles of whiskey, making these three different styles, and designing a still that could make all three styles. I suppose at this point, Brian was showing that although the new revamp presented challenges, these challenges were nothing in comparison to the 1960′s expansion, where they created new stills, and had to deal with merging the company together. At least this time, they had still designs, they were just expanding, so they just had to make them a lot bigger. The final whiskey we tried was the Midleton Barry Crockett Legacy. It’s been between 10 and 22 years old, ex bourbon with a small percentage in the new oak. Nose: Stunning, blackcurrant, gooseberry and pepper nose. A dash of honey and cranberry too. Palate: Toffey, honey and a full juicy note. With water: A nutty and drier woody note. 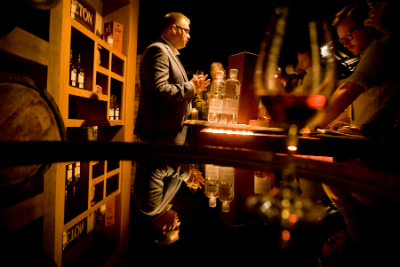 Overall: A cracking tasting with the new Master Distiller of Midleton distillery. Truly a privilege. 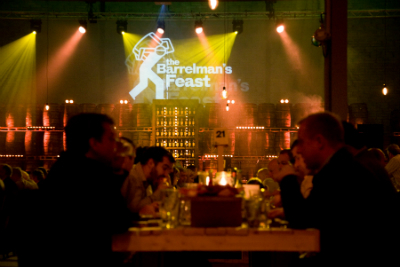 That night, we had a huge banquet in one of the warehouses. It was fantastic, there was food, drinks and much merriment. The Chieftains and Cathy Davey were particularly good in terms of music. That’s it really. A brilliant trip. I was sad to leave. I will always feel at home down at Midleton Distillery. As for the whiskey, it’s really going from strength to strength. Long may this continue. This entry was posted	on Sunday, September 22nd, 2013 at 1:13 pm	and is filed under Events. You can follow any responses to this entry through the RSS 2.0 feed. Responses are currently closed, but you can trackback from your own site.